COLUMBUS — Federal authorities say an Ohio man accused of overseeing a $1.4 million investment-fraud scheme has pleaded guilty to money laundering and wire fraud. Authorities say 41-year-old Edward Campbell, of Reynoldsburg, pleaded guilty Thursday in federal court in Columbus and agreed to repay over $1.4 million. Investigators say the operator of Rosewood Consulting LLC in Baltimore, Ohio, falsely told investors he was a former Navy Seal and international businessman. Authorities say he told at least 44 investors between July 2011 and June 2013, their money would go into two programs — gold-backed, historical bonds issued by China and the exchange of currency from Bougainville, Papua New Guinea, into U.S. dollars. Authorities say investors didn’t receive returns, and Campbell used the money for personal expenses. A message was left for Campbell’s attorney. TOLEDO — Health officials are telling children, pregnant women and people with certain medical conditions not to swim in the river that flows through Toledo because of an algae outbreak. The Maumee River along the city’s downtown waterfront has turned unsightly shades of green the past few days, leading local health officials to issue a recreational advisory Thursday. Algae blooms can produce toxins. Three years ago, blooms on Lake Erie contaminated Toledo’s drinking water for more than 400,000 people for just over two days. But officials say the current algae outbreak on the river isn’t affecting the drinking water. Researchers think it is linked to a larger algae bloom on Lake Erie along with slow currents and high phosphorus levels in the river. CLEVELAND — An Ohio medical examiner says bones found in a bag in Cleveland are human. A spokesman says the Cuyahoga County Medical Examiner’s Office is in the early stages of identifying the skull and portions of arms and legs found by a man pruning trees Wednesday. Cleveland.com reports the bones were found next to a home where 50-year-old Daniel Sloane was killed and his body dismembered July 1. Some of Sloane’s body parts were found in a trash container west of Cleveland in Lorain. His head, arms and legs were missing. The Lorain County coroner ruled Sloane’s death a homicide. Police have said 30-year-old Hector Diaz told his ex-girlfriend he killed Sloane. Diaz killed himself July 2 after being confronted by a SWAT team at an apartment building in Lorain. CIRCLEVILLE — The Pickaway County prosecutor has asked the state patrol’s SWAT unit to transport an accused three-time killer to an upcoming hearing. Pickaway County Prosecutor Judy Wolford says she made the request because defendant Casey Pigge is a dangerous person. Authorities say the 29-year-old Pigge killed a fellow inmate in a prison transport van in February. Wolford and Pigge’s defense attorney, Steve Larson, say Pigge is scheduled to enter a guilty plea in that killing on Sept. 27. Pigge was previously sentenced to life without parole for the 2016 death of cellmate Luther Wade. Pigge was in prison at the time serving 30 years to life for the 2008 killing of his girlfriend’s mother. The Chillicothe Gazette first reported on the prosecutor’s transport request. COLUMBUS — The Ohio Veterans Hall of Fame will induct its Class of 2017 class in November. 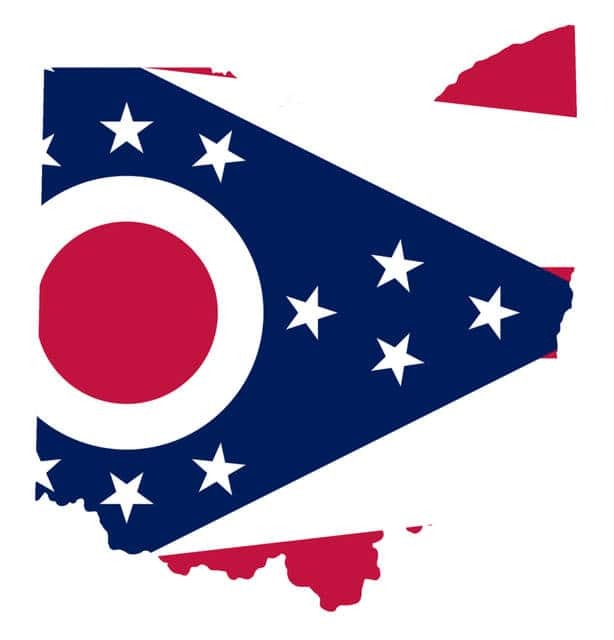 Officials with the Ohio Department of Veterans Services say the 20 newest members will be inducted in a public ceremony in the Columbus suburb of Dublin on Nov. 9. The hall was established in 1992 to recognize Ohio veterans who put their skills and abilities to work in their local communities after their military service. This year’s inductees include veterans from all five branches of the U.S. military. The 2017 class joins 834 Ohio veterans who have been inducted since 1992. Honorees through the years have included astronauts, community volunteers and former government officials, among others. The induction will be held at Radiant Life Church in Dublin. CLEVELAND — A Cleveland couple says their pet miniature pig, which they believe was stolen during a home break-in, has been found dead. The owners of the 15-pound pig, named Spam, say that the body was found Thursday. They said last week that the pig was stolen from their home in a burglary, along with jewelry, TV and a camera. WEWS-TV reports that donors raised more than $1,000 to offer a reward to help find the pig. The couple says that money will be returned or donated to the Animal Protective League, which is performing an autopsy on the pig.